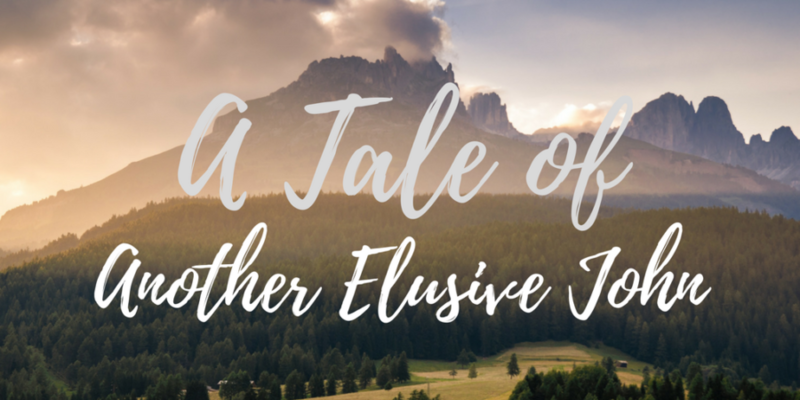 A Tale of Another Elusive John - who is nicka smith? 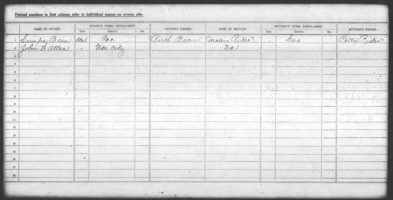 Using DNA, oral history, and the paper trail to track down John Walter Allen, my great great grandfather. Clara Allen, Sarah Bean Allen Starr, and Claude Allen, circa 1890. Any ancestor I have with the given name John is elusive. Every single one is this way and they’re all born around the same time, cross racial lines, and lived in different places. Johns are a thorn in my genealogical side. It seems like only way I can cure that thorn is with a dose of long suffering research (online and offline), a dash of oral history, and a salve featuring our old friend DNA. Enter John Walter Allen. He’s one of my paternal great great grandfathers. 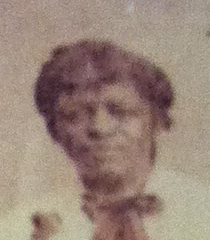 Oral history said the parents of my great grandmother, Clara Bennetta Allen, were John Walter Allen and Sarah Bean. For years, my searches for John ended up fruitless; I would find some potential people, but nothing that was sticking. It was at this point that I directed my attention to Sarah. Sarah Bean was born between 1850 and 1858 likely in the Indian Territory and died before 1930. Her parents were Caroline Rider and Simpson Bean. 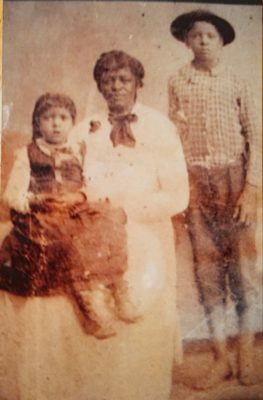 (1) All were Cherokee Freedmen and were formerly enslaved by Cherokees – Sarah and Caroline by Mary Pauline Starr Rider and Simpson by Mary’s sister, Ruth Starr Bean. (2) For more on the slaves of the Cherokee and the other civilized tribes, read one of my old posts or read this one by my geneabud Angela Walton-Raji. Cherokee Freedmen, D947. Source below. Sarah Bean, nee Shepherd, Allen, Starr. 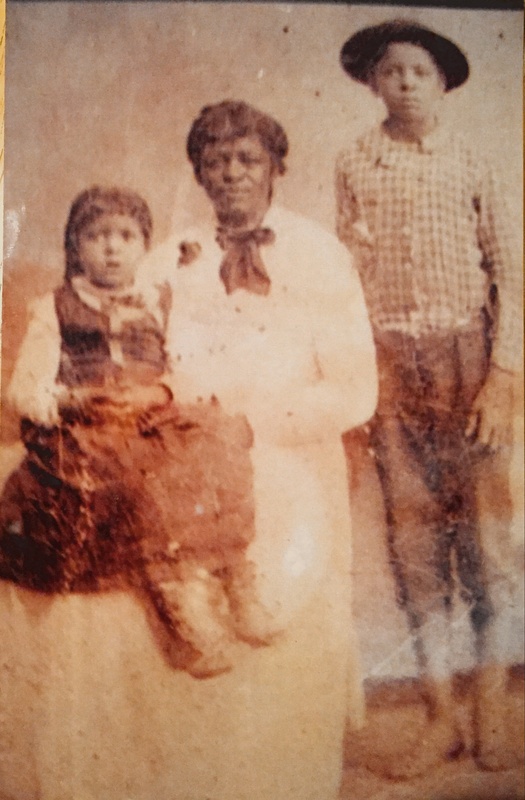 Sarah had lived long enough to apply for the Dawes Commission as a Cherokee Freedmen on behalf of herself and Clara who was a minor at the time. Unfortunately, she was denied enrollment, but anyone that does Indian Territory research will tell you that doesn’t mean the ballgame is over. In fact, most times this means a healthy Dawes Commission application/packet awaits you, and this was definitely the case for Sarah. Try 80+ pages worth of information. 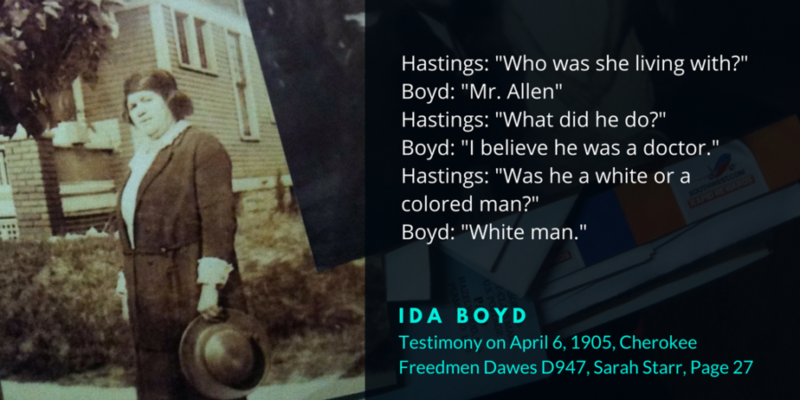 Sarah’s testimony, and the testimony of others such as Joe Bean, Ida Boyd, and William Deeds, noted that she was married to John. Eventually I found a marriage license for them in Bourbon County. They were married on November 3, 1881 by Minister John Bowlegs. (4) The couple lived in Fort Scott, KS and Joplin, MO which is where they separated as per Sarah’s testimony in the application/packet. Yep. That’s the reason why I couldn’t find him. 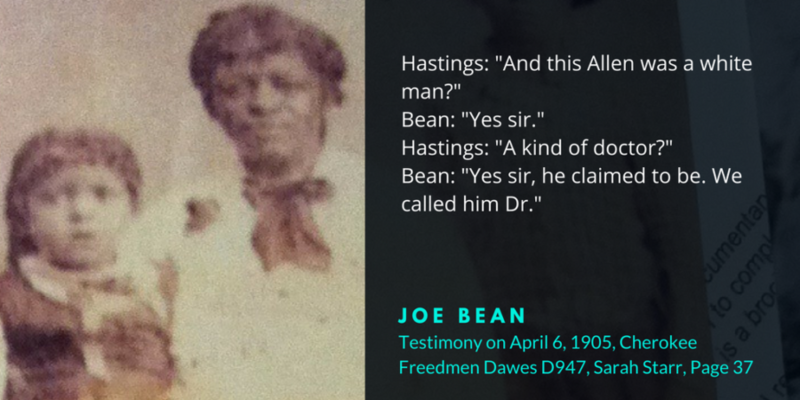 I had made an assumption that he was African American, but based upon several people who were deposed in Sarah’s Dawes application/packet, that was not the case. At. All. To boot, John was alleged to have been a doctor. Can we say jaw on the floor?!? John and Sarah were married during the 19th century. 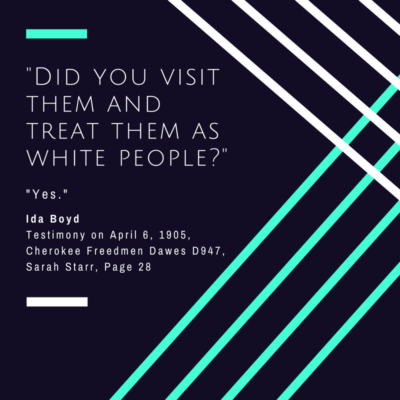 William Deeds (6) and Ida Boyd (7) were both of European dominate ancestry themselves, so to hear that people in the community accepted John and Sarah as legitimate husband and wife floored me. Then, DNA came in to answer more questions. Thankfully, a second cousin through on this line recently tested on AncestryDNA. I noticed a pattern amongst our shared matches. A closely related group of five emerged who were descendants of Cordelia Angeline Vermillion and Daniel Lee Landers who had ties to Barry and Lawrence Counties in Missouri. They all matched me and my known cousin at high confidence levels with a relationship of 4th cousins. For our highest match of the 5, Cordelia and Daniel were their great grandparents, and since that was who the group of 5 had in common, I took at look at who Cordelia and Daniel descended from. Chasing up the Vermillion line created no leads, but when I went up the Landers line, something stood out. I knew that the surname Allen had to be involved somehow in order to tie back to John, so I began to look at the female ancestors of Daniel Lee Landers. Daniel’s mother was named Martha Jane Lee. Since she would have been the great great grandmother of our highest match, her parents would likely be the connection to the group of 5 thus creating the 4th cousins relationship. I chose to look up Martha’s sisters to see if any of them married an Allen. Low and behold, one of them did. Phinetta Lee, sister of Martha Jane Lee, was born about 1820 in Alabama or Tennessee and married Albert G. Allen on October 5, 1842 in Barry County, Missouri (8). To this marriage, the following children were born: Clara Lee, Sarah Lee, Jacob Lee, Mary Lee, and who appears to be my John Walter Allen. (9) Then it clicked – my great grandmother was named Clara Benetta Allen which were the names of my John Walter Allen’s sister and mother (give or take a spelling). Also, Joplin, MO, where Sarah stated she had separated from John, is only 50-60 miles away from Lawrence and Barry Counties. To boot several of my DNA matches show a tie back to a Revolutionary War patriot and I have verified that they have been admitted to DAR based on the patriot we share. It looks like someone with the initials N.S. may be have cause to join Shelley Murphy, Simran Noon, and True Lewis as a daughter. 🙂 Thank God for a good paper trail, regardless of race. I also discovered that this line is where me and Crista Cowan share ancestry. We are 7th cousins who share the same 6x great grandparents and this was only traceable thanks to endogamy. Moral of the story: Don’t ever assume anything, even race, because it could take you years to get on the right path. Also, if you can’t find the name of a male relative, just take my advice that his name is John and the surname Lee is involved. LOL Do you have a similar story? Share it below! 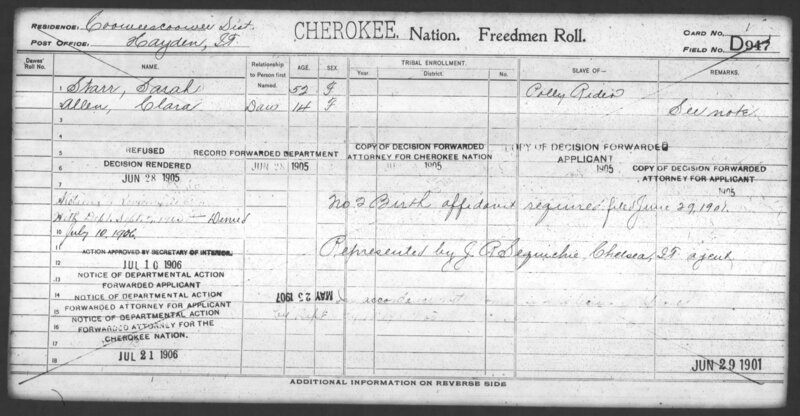 (1) Sarah Starr, Cherokee Freedmen D947, The National Archives at Ft Worth; Ft Worth, Texas, USA; Enrollment Cards for the Five Civilized Tribes, 1898-1914; NAI Number: 251747; Record Group Title: Records of the Bureau of Indian Affairs; Record Group Number: 75. Accessed 25 January 2017 via http://search.ancestry.com/search/db.aspx?dbid=60543. (3) Ancestry.com. U.S., Native American Applications for Enrollment in Five Civilized Tribes, 1898-1914 [database on-line]. Provo, UT, USA: Ancestry.com Operations, Inc., 2013. 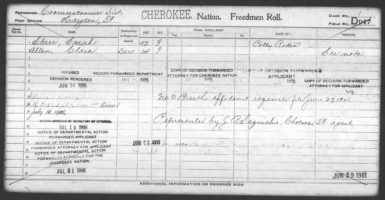 Original data: Applications for Enrollment of the Commission to the Five Civilized Tribes, 1898–1914. Microfilm M1301, 468 rolls. NAI: 617283. Records of the Bureau of Indian Affairs, Record Group 75. The National Archives at Washington, D.C. Sarah Starr, Cherokee Freedmen, D947. Accessed 25 January 2017. (4) Kansas County Marriages, 1855-1911, database with images, FamilySearch (https://familysearch.org/ark:/61903/1:1:FW2N-2JX : 16 February 2016), Walter Allen and Sarah Bean, 03 Nov 1881; citing Marriage, , Bourbon, Kansas, United States, district clerk, court clerk, county clerk and register offices from various counties; FHL microfilm 1,434,890. (5) Jackson, Michael, Orianthi Panagaris, Michael Bearden, and Tommy Organ. “Black or White – Michael Jackson (1991).” Google Play. N.p., n.d. Web. 25 Jan. 2017. <https://play.google.com/music/preview/Tdrnpaf7dfaosyttfoiqpigfv2y?lyrics=1&utm_source=google&utm_medium=search&utm_campaign=lyrics&pcampaignid=kp-lyrics>. 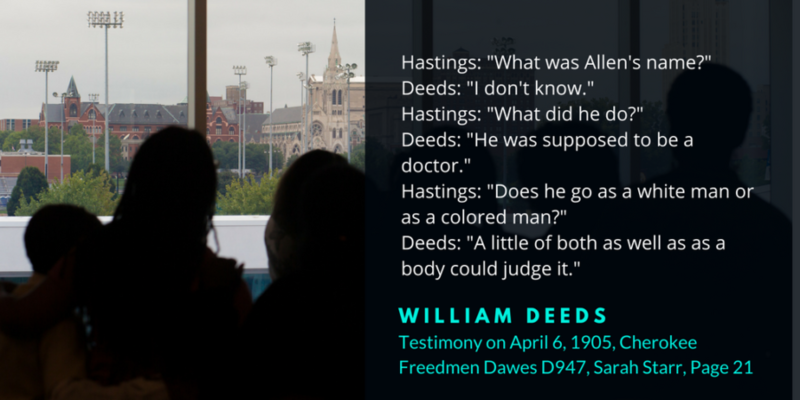 (6) “United States Census, 1860”, database with images, FamilySearch (https://familysearch.org/ark:/61903/1:1:M664-XWP : 30 December 2015), William M Deeds in entry for David Deeds, 1860. Accessed 25 January 2017. (7) Kansas State Historical Society; Topeka, Kansas; 1895 Kansas Territory Census; Roll: v115_10; Line: 24. Ida Boyd. Ancestry.com. Kansas State Census Collection, 1855-1925 [database on-line]. Provo, UT, USA: Ancestry.com Operations, Inc., 2009. Accessed 25 January 2017. (8) Ancestry.com. Missouri, Marriage Records, 1805-2002 [database on-line]. Provo, UT, USA: Ancestry.com Operations, Inc., 2007. Original data: Missouri Marriage Records. Jefferson City, MO, USA: Missouri State Archives. Microfilm. Albert Allen to Fernetty Lee, October 5, 1842, accessed 25 January 2017. 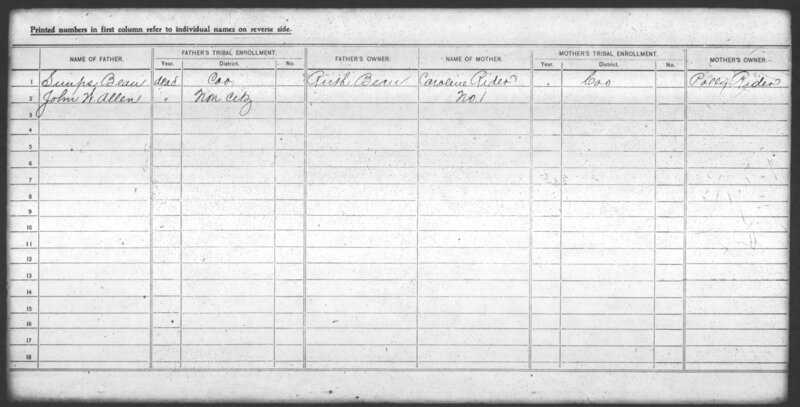 (9)”United States Census, 1860″, database with images, FamilySearch (https://familysearch.org/ark:/61903/1:1:MHZ4-ZGZ : 30 December 2015), Phinette Allen in entry for Albert G Allen, 1860. Illinois. Department of Public Health. Division of Vital Statistics (Cook County) (Main Author) Cook County (Illinois). County Clerk (Repository), FHL/DGS film 100563332, certificate 30506, Clara Levy, date of death: November 17, 1935. Accessed 31 October 2012 at FamilySearch Library, Salt Lake City, UT.